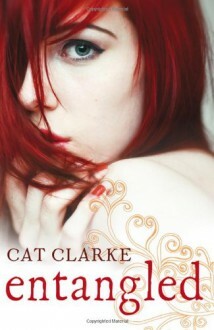 Shortlisted for Teenage Redbridge Book Award 2012. The same questions whirl round and round in my head: What does he want from me? How could I have let this happen? AM I GOING TO DIE? 17-year-old Grace wakes up in a white room, with table, pens and paper - and no clue how she got there. As Grace pours her tangled life onto the page, she is forced to remember everything she`s tried to forget. There`s falling hopelessly in love with the gorgeous Nat, and the unravelling of her relationship with her best friend Sal. But there`s something missing. As hard as she`s trying to remember, is there something she just can`t see? Grace must face the most important question of all. Why is she here? A story of dangerous secrets, intense friendships and electrifying attraction. well , that was interesting and confusing. I don't really now how I feel about this book. I hated Grace, Sal and Nat and I disliked Devon. Sophie was the only one, I liked. The story is so obvious, although the book was nothing like I though it would be - the summary made me think, it was completely different.